Hundreds of thousands of tourists head to the UK every year, looking to take advantage of the numerous types of holidays available in the United Kingdom. It’s not particularly surprising either, given the numerous attractions and things to do (no matter what you’re looking for, from a stag weekend in Brighton to a tour of historical monuments in London, the UK has something to offer). So when thinking about the most popular destinations in the UK, you’d likely think of places like London, Brighton, Bath, Edinburgh, Cardiff, Manchester, etc. and whilst these are the most popular destinations in terms of visitor numbers, they don’t appear to be the most popular amongst British holidaymakers looking to stay at home for their summer trips. Recent research has suggested that British people prefer to visit places a little more off the common tourist trail; preferring smaller, more spiritual or historical destinations. 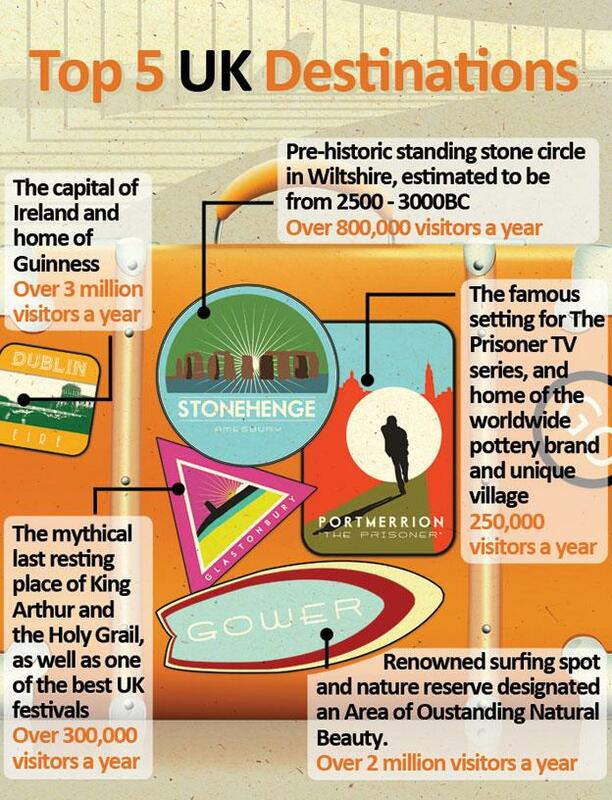 The most popular destinations for UK-based holiday makers are Stonehenge, Portmerrion, Gower and Glastonbury. Whilst these may initially sound surprising, it actually makes quite a lot of sense once you delve into what these destinations have to offer. 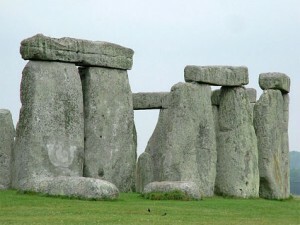 Stonehenge is one of the most popular destinations in Europe for those looking for a more spiritual or historical holiday. Often considered one of the Wonders of the Middle Ages, the large standing stones are one of the most famous sites anywhere in the world. Portmerrion is one of the most beautiful villages in Wales, welcoming around a quarter of a million visitors each and every year. 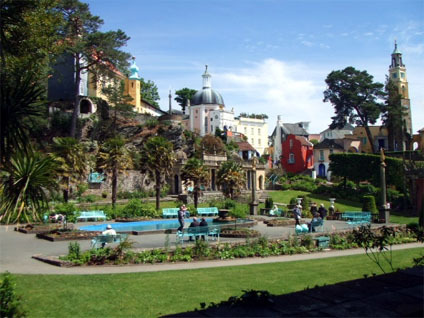 Hugely popular for its outstanding natural beauty, the village became even more popular with tourists (both British and foreign) after it was picked as the location for the filming of hugely popular British TV show ‘The Prisoner’. 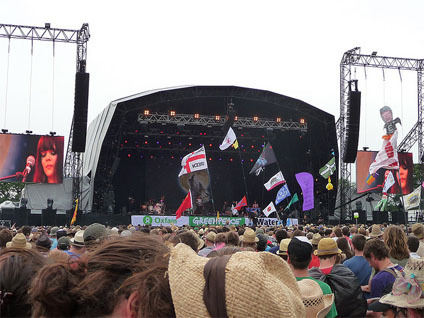 Glastonbury is famous the world over as the location of one of the most popular and renowned music festivals in the world. In addition to this however, it’s also a hugely popular holiday destination, as it has a huge amount to offer in terms of history, attractions and spirituality. 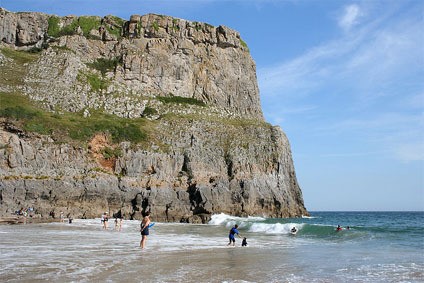 Gower is considered an outstanding area of natural beauty, and is one of the most popular tourist destinations in Wales. Famous for both the beautiful beaches (hugely popular amongst surfers), beautiful countryside and phenomenal amount of history and historical buildings and monuments. Dave Wain, the author of the “Top UK destinations for holidaymakers” works as a freelancer for numerous hotel, holiday agents and destinations, currently including The Claremont in Brighton and the hugely useful Hotelshop website.